Bruno Senna had a go (literally-speaking), Eddie Jordan took it up, and those at our Badger Forum attacked him as they had earlier attacked their breakfast; but this isn’t a new sport, Massa bashing has been around for a while. In light of this new round of criticism, we at Badger thought we would assess the case and what Australia might add to the dominant viewpoint. 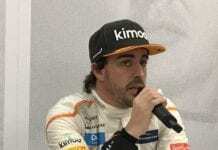 The usual spiel goes as follows: Massa lost his ‘mojo’ after his accident at the Hungaroring in 2009 and, during the period in which he would have rebuilt that confidence, the domineering presence of Fernando Alonso entered the cocoon of his prancing horse. 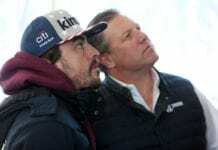 Despite the constant and sometimes embarrassing level of assistance Massa has received from Rob Smedley, the man that went toe-to-toe with Lewis Hamilton in 2008 has never returned. Remember, the Fernando that has outperformed Felipe in almost every race since coming on board, is the same one that suffered the ignominy of being outperformed by the rookie Hamilton the Brazilian so nearly beat to the world title. So, how does Australia serve to support this spiel? Massa bashing is usually underpinned by comparing his performances with the dashing Spaniard across the garage. At Albert Park, the result seems to suggest that Fernando once again blew Felipe out of the water. A second slower then his teammate in qualifying, his race ended after a midfield scrap with Bruno Senna whilst Alonso dragged the unfortunate looking Ferrari around to a fifth place finish. Add to this the fact that he was defending 13th position when the incident with Senna occurred and things look less than rosy. Indeed, from the timings it is difficult to see how Massa would have moved into the points. At the time of the collision, for instance, Paul Di Resta, the last of the point scorers, was two places up the road. With this in mind, Massa’s admittance that he was “hoping to finish in the points” looks a little less shocking. He only spun out in free practice, whilst Alonso did it in the actual qualifying session! It is inappropriate to talk about replacements until the jury comes in with a verdict. However, us Badgers attack conformity wherever we sniff of it and this Badger would like to endorse the candidacy of Jaime Alguersuari (despite his excellent showing for 5 live over the weekend) once Massa is given the boot. And, in that same spirit of challenging prevailing viewpoints, we are always game for a constructive debate here at Badger (as long as no animals are harmed in the process). So, let us know your thoughts on Massa!